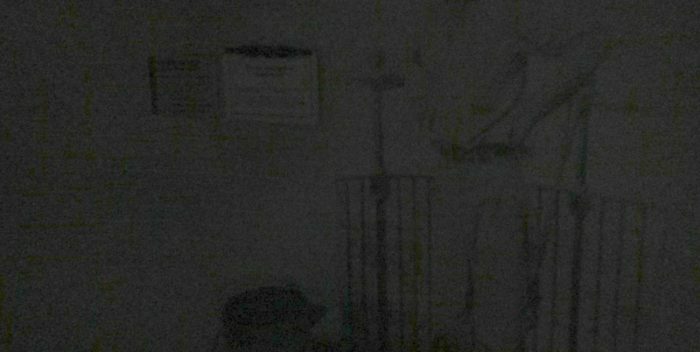 I participated in the St. Augustine Lighthouse Paranormal Tour “Dark Of The Moon 2016” on Thursday, August 18, 2016 at 9:15 pm. As we climbed the staircase of the lighthouse tower, I noticed a display of equipment on one of the landings, so I thought to take two photos on my digital camera, one right after the other. At the time it was near total darkness on the landing. When I got home, I uploaded my photos into my laptop and used iPhoto to edit each one. The two photos were completely black at first look, but I was able to lighten the exposure. That’s when I saw the apparition. I was alone on the landing at the time of the photos. I cannot explain this. Looks too solid. Possibly a mannequin? Thank you, Kenny Biddle! 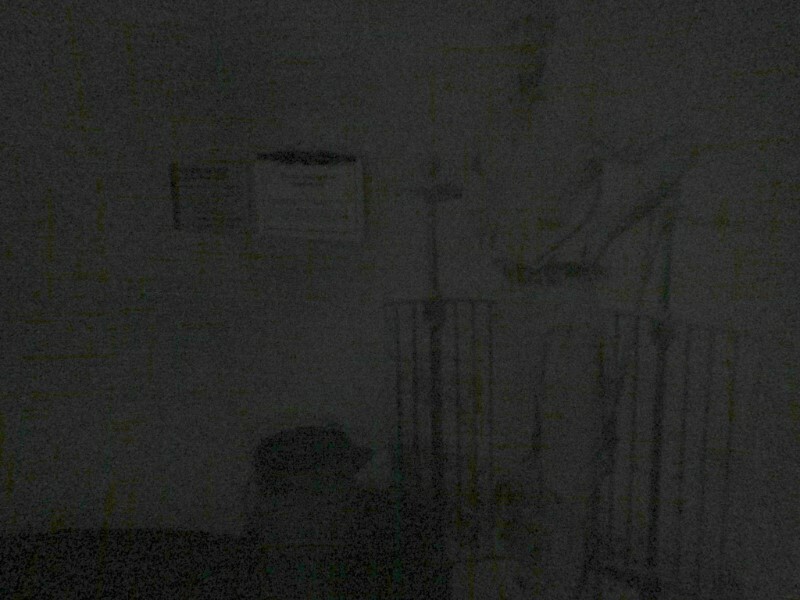 Looks like this is indeed a photo of a larger photo on the wall at the top of the lighthouse.